We had too much going on this winter, Aaron's classes & new job, my volunteer work, to take a vacation. I started thinking though... if I could go anywhere where would it be? Bunnies and pigs. 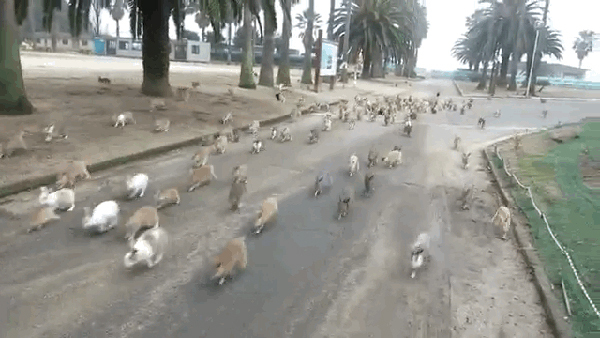 A short while ago I saw this video about Ōkunoshima Island off of Japan. Turns out it is full of rabbits! Rabbits were brought to the island in the 1920's for chemical weapon tests. Years later, they have multiplied and tourists come to the island to feed them. 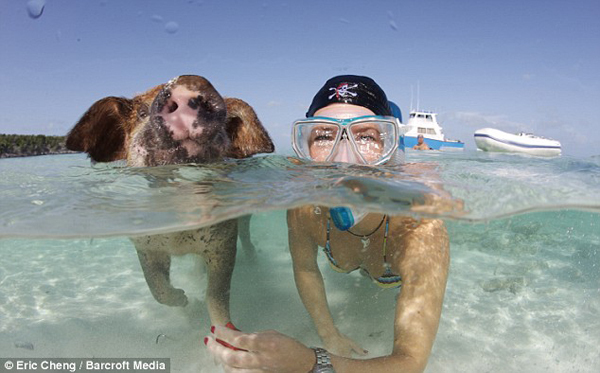 Right after visiting bunny island, I want to go swimming at Big Major Cay, an island in the Bahamas. 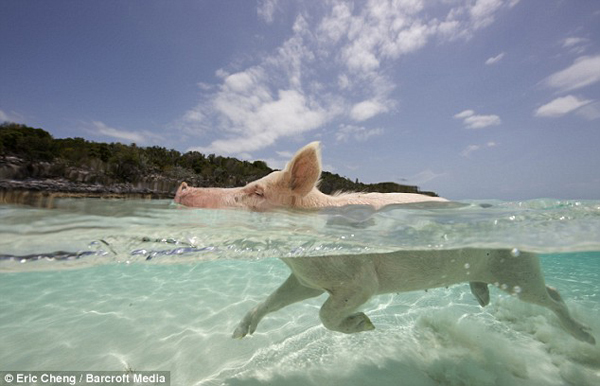 Swimming with pigs! Now you can feed and swim with these pigs. Two perfect vacations... right there. I want to go on this vacation!! Mine would end on pug island, aka my couch. Did you see your typo in your title? I'm guessing now....awesome autocorrect! Haha! Ahhh...typo in my comment! "not" not "now! Ohmigosh - you are right. I am so used to autocorrect changing "pugs" to "pigs" and then I type in "pugs" by mistake! 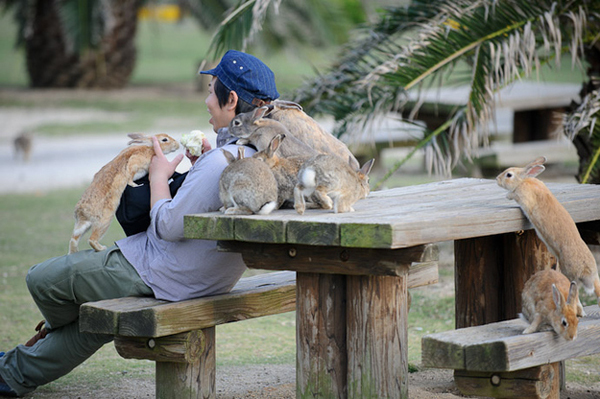 Okunoshima is a small Island situated in the Inland Sea of Japan. 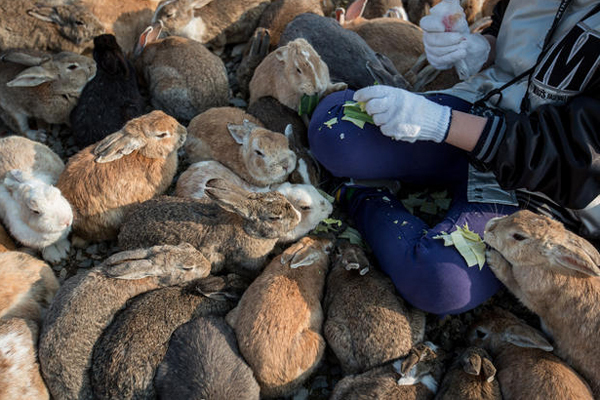 It is known as a Rabbit Island. Its pigs & bunnies are really the main center of attraction. I used to visit this beautiful island recently and found this really a worth visiting place in Japan. The playful activities of innocent bunnies are awesome. This weekend I am going to the Grand Canyon and looking for the cheap bus tours.